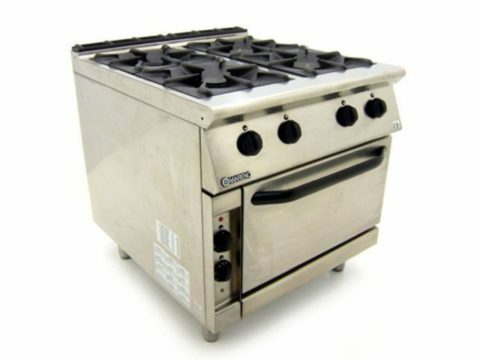 The Oven comes complete with stand and is also on castors. 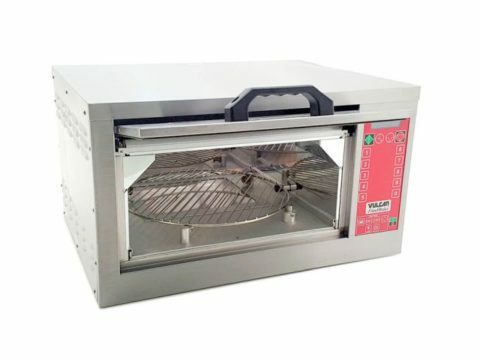 Cooking in a convection oven differs from cooking in a convential deck or range oven since heated air is constantly recirculated over the product by a fan in an enclosed chamber. 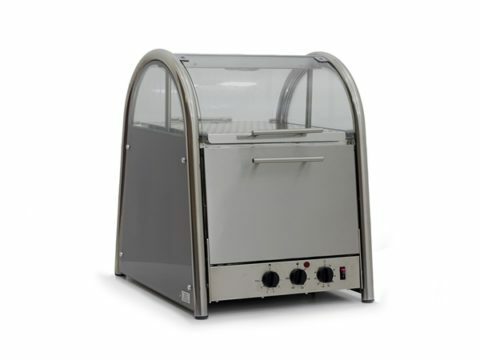 The moving air continually strips away the layer of cool air surrounding the product, quickly allowing the heat to penetrate. 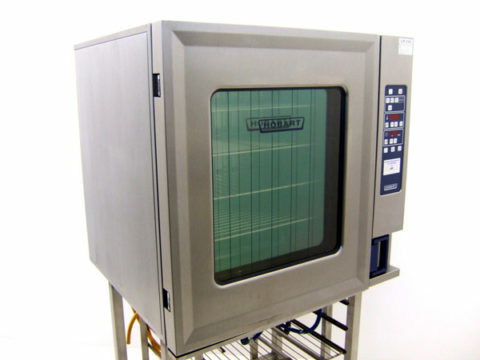 The result is a high quality product, cooked at a lower temperature in a shorter amount of time. 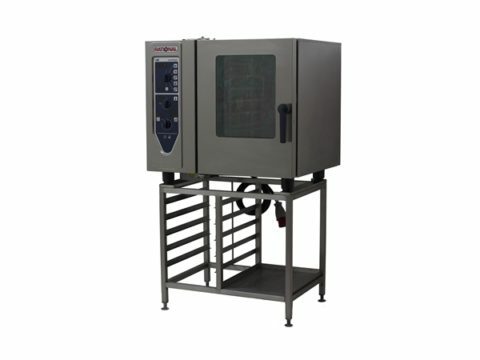 This Half-Size Convection Oven is ideal for any location where high performance is required and space is at a premium. The exterior is constructed of a full angle-iron frame. 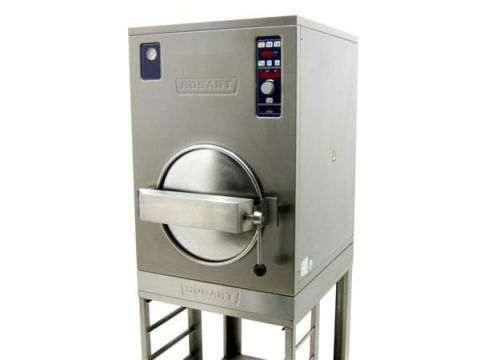 Stainless steel front, top, sides and back. Dual pane thermal glass window encased in stainless steel door frame. The interior has a double sided porcelainized baking compartment liner. 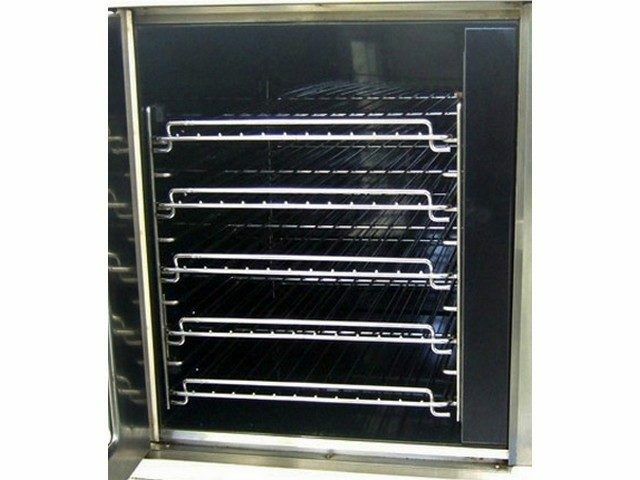 Comes with the standard five chrome plated racks, nine rack positions with a minimum of 41mm spacing. 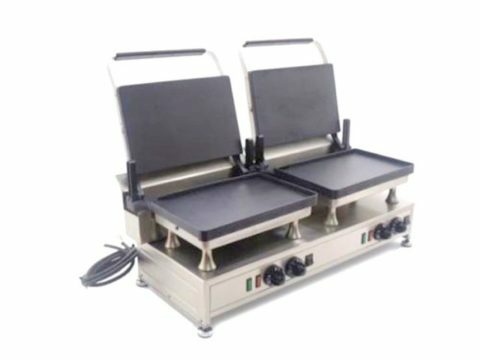 It will take five 13″ x 18″ standard half-size bake pans. 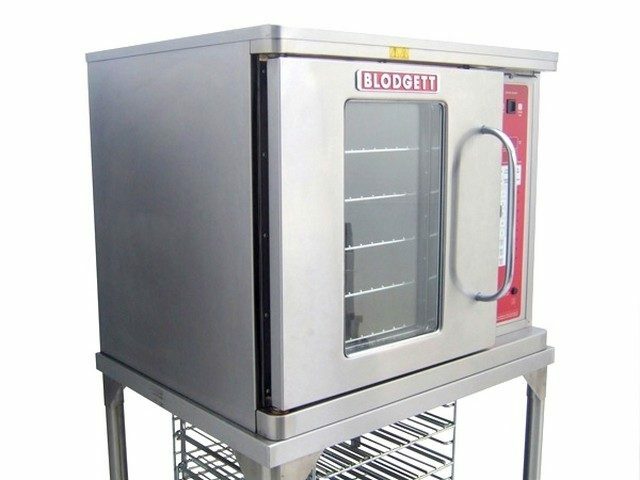 Please Note : The Blodgett CTB oven has been photographed with 9 chrome plated racks but is being sold with only 5. Should you require more than 5 racks these can be purchased from us seperate. 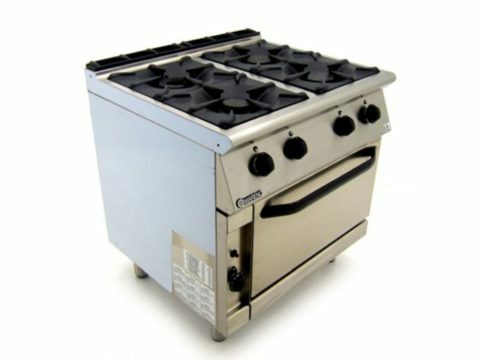 It has a solid state thermostat with temperature control range of 200 F to 500F. Two speed fan motor. 1/4 horsepower blower motor with automatic thermal overload protection. One control area cooling fan. This item has been used but is in very good condition & in perfect working order.